Whisk cream cheese with 1 tsp sugar and a pinch of salt.Mix in veggies and keep refrigerated. 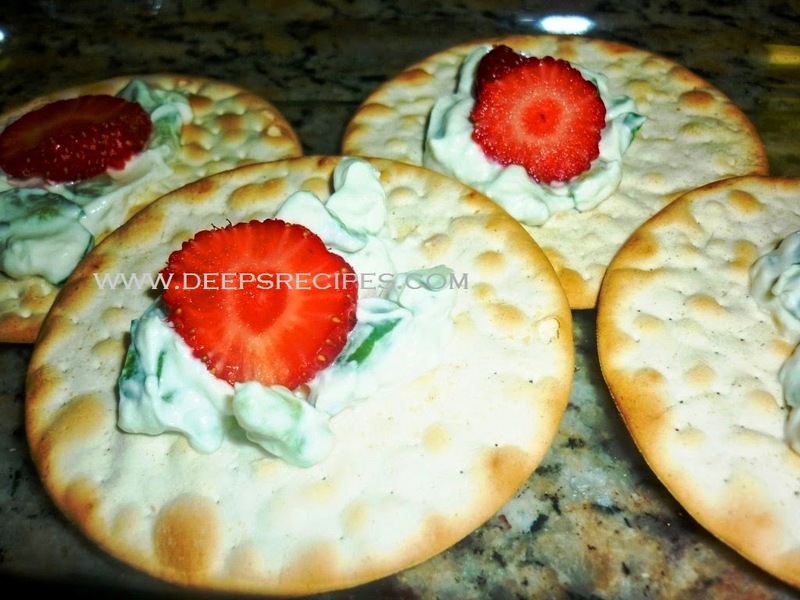 Only at the time of serving, spread it on Crackers and arrange one piece of Strawberry /Raspberry on top. I use Italian crackers as they are really thin and crisp .